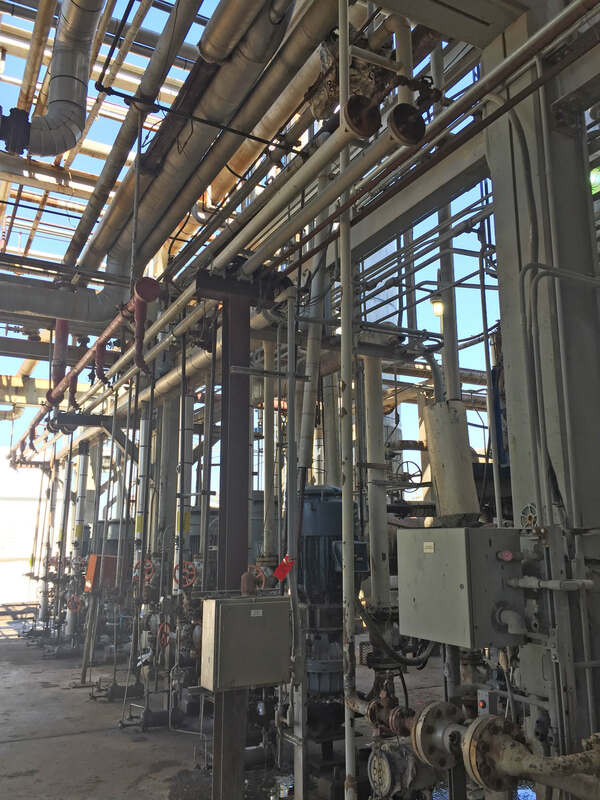 At Delek’s Big Spring Refinery, the propane solvent charge pumps for the propane de-asphalt unit (PDA) needed frequent repairs and were subject to high maintenance costs with apparent cavitation damage. 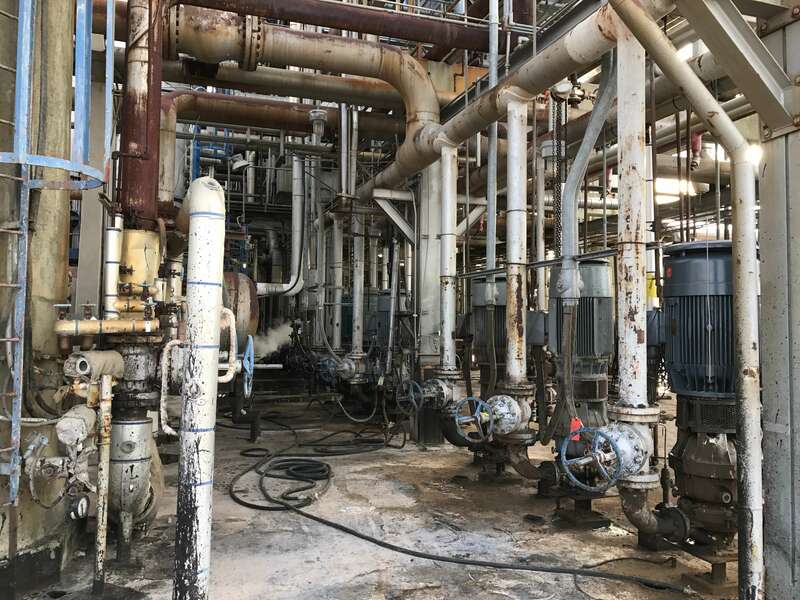 Delek suspected that insufficient suction pressure may be the cause and wanted a pump solution with a lower required net positive suction head (NPSH) to lower maintenance costs. 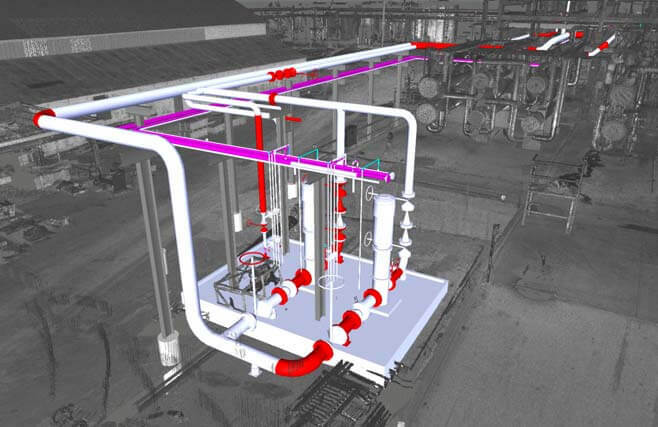 To find a pump replacement solution, Merrick completed simulation and hydraulic models of the system, determining that suction pressure was not the primary cause of the failures. Merrick’s analysis showed that the primary cause was multiple pumps operating with very flat operational pump curves, combined with asymmetrical piping. This combination created flow imbalances across the system, resulting in some pumps running beyond the end of the pump curve while others were operating below minimum recommended flow. In addition, the receiving drum on the pump suction had a propane vapor bypass entering the drum through a sparger header at the bottom of the vessel, which reduced the overall specific gravity of the system and decreased available suction pressure. Merrick recommended moving the hot vapor sparger nozzle 10 inches higher on the vessel to reduce the effect of the stream on pump system performance. Merrick also obtained proposals for new pumps to replace the current configuration of six 20% high speed pumps, including options for both 50% and 100% pumps. Merrick completed a full bid tabulation for both technical compliance, commercial terms, and schedule delivery. Ultimately, Merrick recommended one of the 100% pump bids. Merrick then completed a preliminary three-dimensional model of the new pump arrangement with all required utilities. 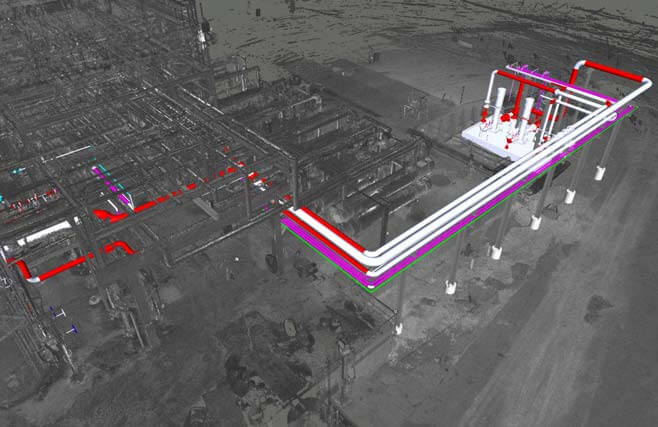 Based on this model, Merrick generated a complete project cost estimate.